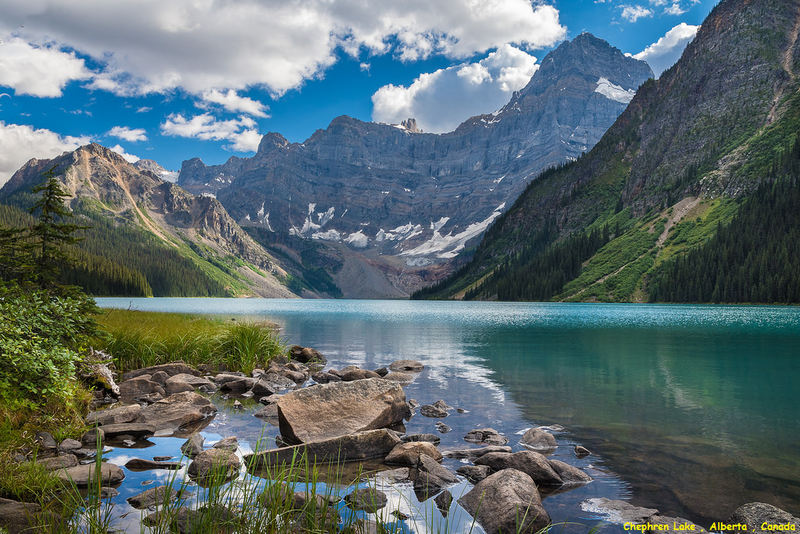 Chephren Lake is a lake in Canada .It is located in the province of Alberta , in the central part of the country, 3,100 km west of the capital Ottawa . Chephren Lake is 1,717 meters above sea level. Area is 0.97 square kilometers. The highest point nearby is Mount Chephren , 3 307 meters above sea level, 1.8 km west of Chephren Lake. It stretches 2.5 kilometers in the north-south direction, and 0.7 kilometers in the east-west direction. The area around Chephren Lake consists mainly of grasslands .Area around Chephren Lake is almost unpopulated, with less than two inhabitants per square kilometer.